Play your tunes without downloading an app. 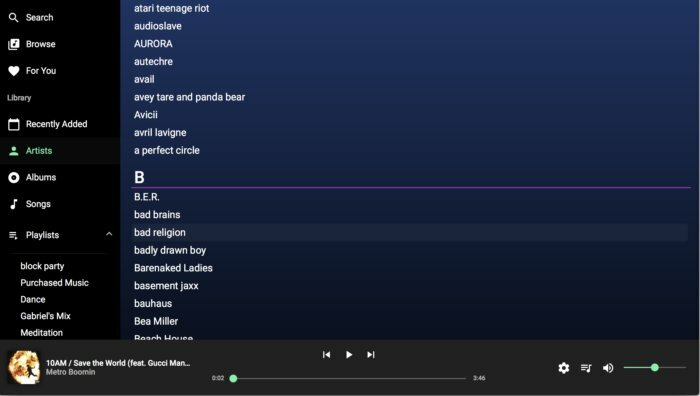 Apple Music may have a library of more than 50 million songs, an Android app, and upcoming support for Amazon Echo devices, but there’s one thing it’s still missing: a web player. While rumors have suggested that Apple is working on one to compete with the likes of Spotify, Tidal, and, well, every other service, you currently can only listen to your Apple Music collection via the native app or iTunes, both of which require downloads and compatible devices. Reddit user NaveedGol has developed a solution, and it’s a good one (at least while it lasts). To try it out, simply type playapplemusic.com into your browser and you’ll instantly be taken to a fully searchable Apple Music web interface that looks like something Apple itself would build. From there you can log into your account using Apple’s own authentication service, right down to two-factor authentication. Apple’s in-house two-factor authentication system is in place at playapplemusic.com, so your login will be safe. Once logged in, you’ll see all of your music arranged by album, artist, and song, and you’ll be able to browse and search the entire Apple Music library. 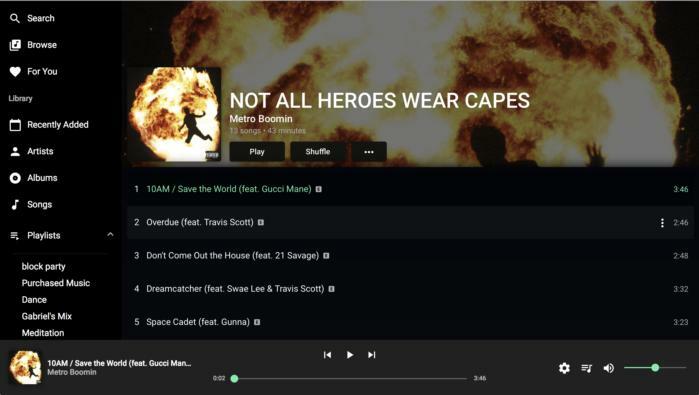 All of your playlists are accessible as well, although you can’t edit them or create new ones. Playback controls are clear and easy to use, and a simple click on any song starts playing it. You can also switch between standard (64kbps) and high (256kbps) bitrates, though it’s very hard to hear a difference on my MacBook’s built-in speakers. Since it’s strictly a simple player, there are some limitations. Chiefly, you can’t add new music to your library or even rearrange the Up Next cue other than adding or deleting tracks. 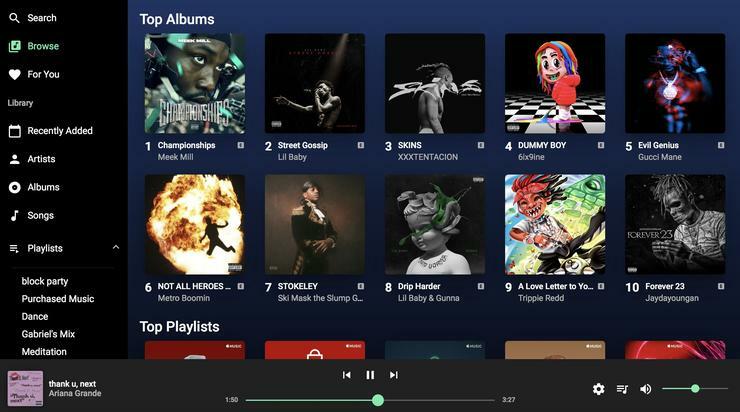 You also can’t listen to Beats 1 or any created radio stations, and the Browse tab is limited to three top 10 lists: albums, playlists, and songs. Album art is big and bold on playapplemusic.com. Otherwise, NaveedGol’s interface is fantastic, and anyone who has been looking for an Apple Music web interface should definitely check it out. It’s unclear how long it will last due to potential World Intellectual Property Organization issues with the URL, but for now, it’s an excellent glimpse into how much better an instant lightweight web-based version of Apple Music could be. All of your artists, albums, and tracks can be played at playapplemusic.com. 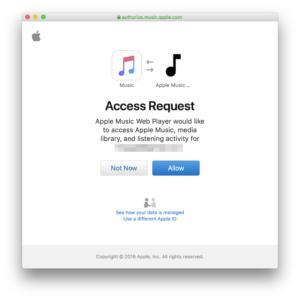 Why this matters: While most people are happy using the Apple Music and iTunes apps to stream their Apple Music libraries, there are plenty of instances where a web interface would be useful. One is Linux compatibility—which is why NaveedGol built the player in the first place—but there’s also Chromebooks, which have pretty spotty support for Android apps. A web interface also lets you work around workplace firewalls that prohibit app downloads. But the best reason to try out playapplemusic.com might be the most basic: It’s cleaner and easier to use than either iTunes or Apple Music.